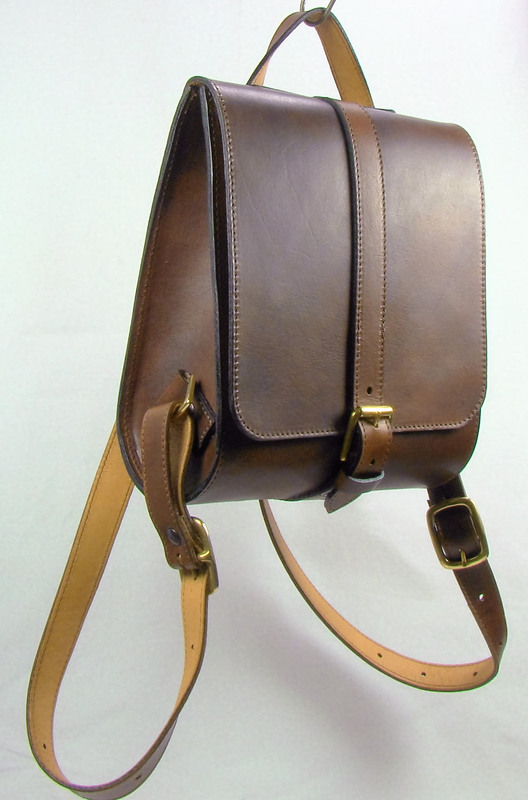 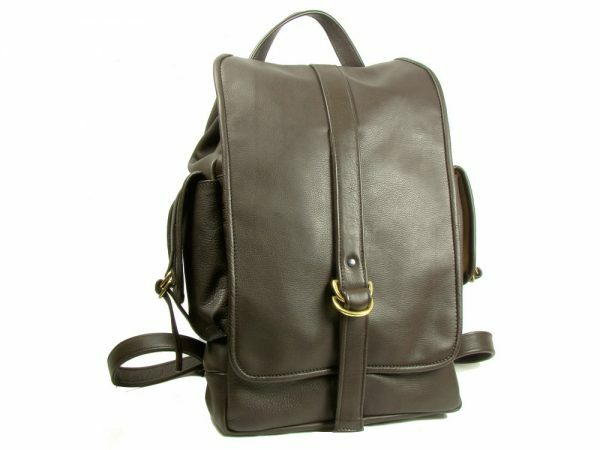 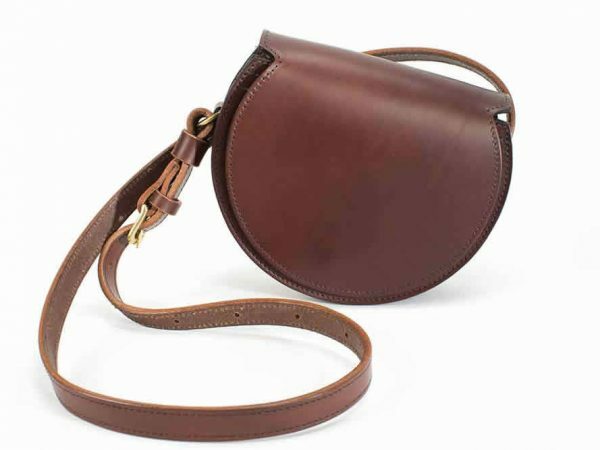 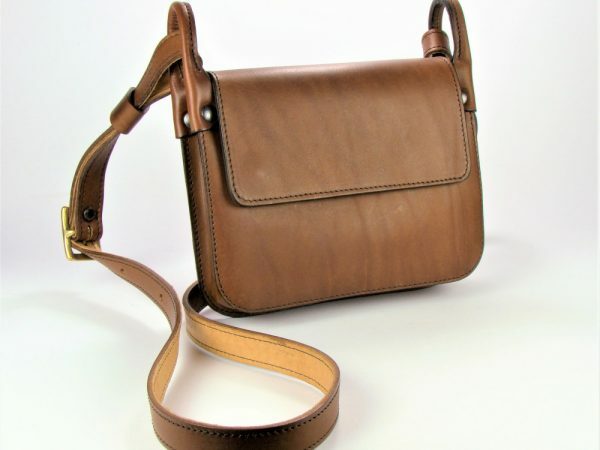 This petite and attractive leather bag rests neatly on the back and will add an element of style to any outfit. 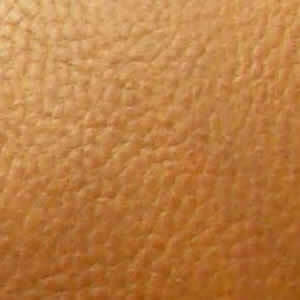 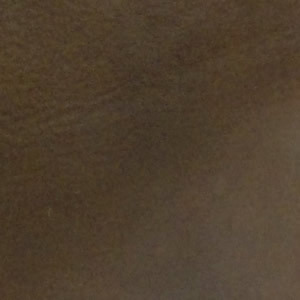 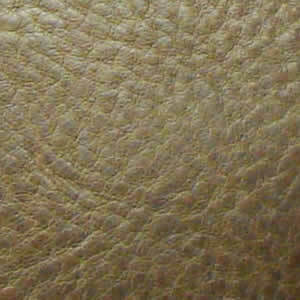 It is made from full grain, vegetable tanned cow hide, which will develop a beautiful patina with time. 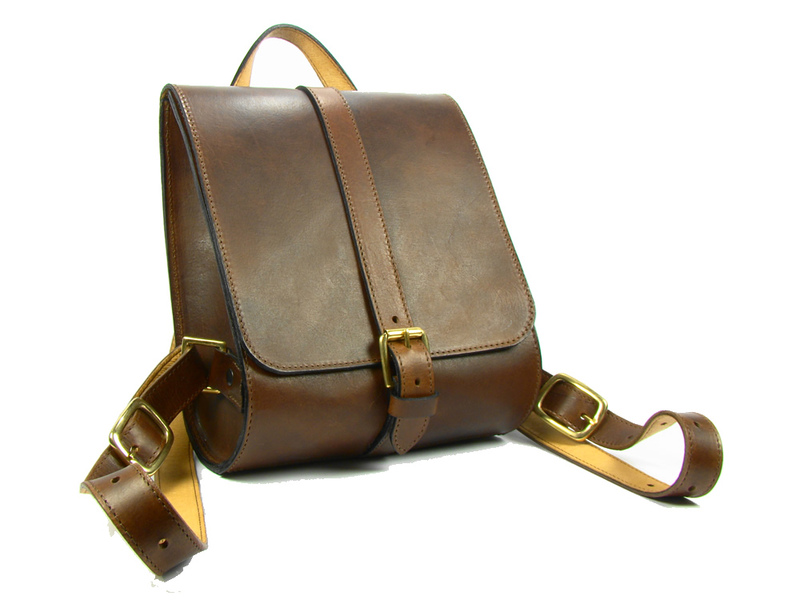 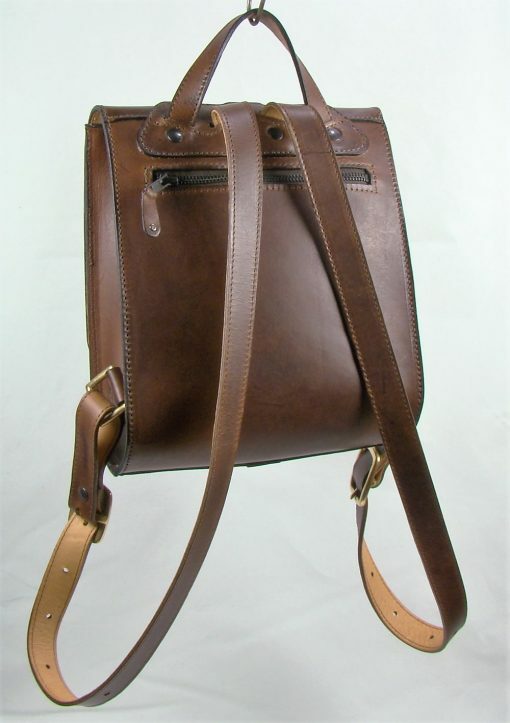 It is securely fastened with a solid brass or nickel plated buckle on the front flap. 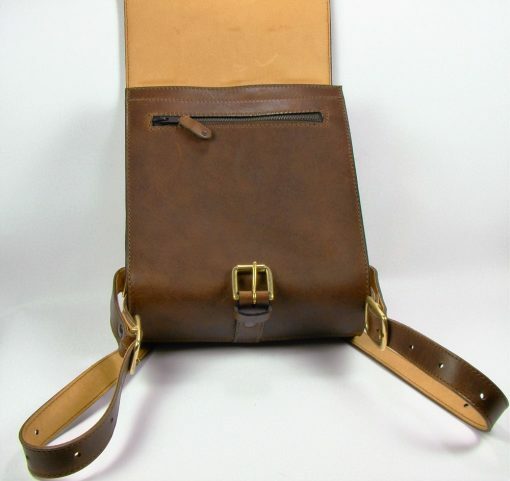 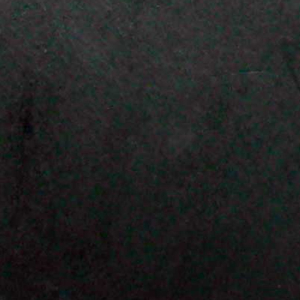 There is a zipped pocket beneath the flap and another on the back panel. 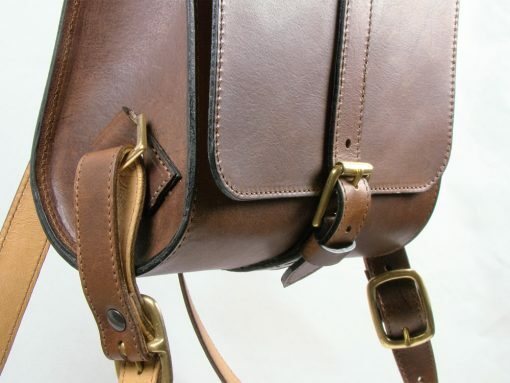 The pocket interiors and flap are lined with soft pig skin.